By contrast, the Indian media are treating this three-month interim budget just like a full-fledged budget, devoting attention to its meaning and its implications for industry, farmers, the middle class, and foreign investors. This is because the scale of the proposals in the budget suggests a roadmap for the entire year rather than a holding exercise. Should the next Indian government, once it is constituted at some point likely around late May, have a different focus, then it would be worth having a more extensive budget discussion at that time. But the question of the hour really has to be what to do about jobs. Against the backdrop of mounting bad news on the jobs front, it’s no mystery that the interim budget would offer support to farmers, tax relief to the middle class, and an opt-in pension plan for informal sector workers. These are palliative measures, however, that do not provide broader recommendations for how to address whatever is hindering job creation in the Indian economy. The much-delayed release of National Sample Survey data on unemployment led earlier this week to a data leak to Business Standard, and the information released should wake everyone up to the urgency of the problem. According to this report, the survey finds headline unemployment at an over-forty-year high of 6.1 percent. If unemployment in India is indeed as high as the reported National Sample Survey figure—keep in mind that the nongovernmental Centre for Monitoring Indian Economy unemployment estimate for December 2018 was even higher at 7.3 percent—then all parties should focus like a laser on what they can do to solve the problem. Answering the jobs question with the best possible policy proposal requires the best available data. Here’s an example. It has been politically impossible—across parties—to implement extensive structural reforms that would allow India’s manufacturing sector to flourish, as has been the case in East and Southeast Asia, and even in Bangladesh. In Bangladesh, the ready-made garment industry has been a pathway out of poverty for around four million people, mainly women. As China moves out of the garment industry, countries like Bangladesh and Vietnam are picking up the slack, and this could be an opportunity for India as well. 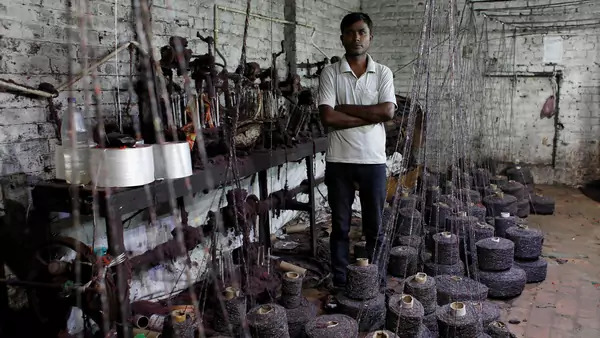 How well have the changes to India’s textile sector that were initiated in 2016—changes that allowed for seasonal employment and eased labor laws that disincentivized hiring more than one hundred people—helped with job creation in the industry? It has become abundantly clear that demonetization and the complexity of the Goods and Services Tax rollout hurt small businesses. So public policy ought to focus on how to improve opportunities for small businesses and help them grow, because they are engines of job creation. That means I agree with the question posed by Takshashila Institution Cofounder and Director Nitin Pai: “What is your plan to create 20 million jobs every year?” That’s the question that ought to be everyone’s top priority. My book about India’s rise on the world stage, Our Time Has Come: How India Is Making Its Place in the World, was published by Oxford University Press in January 2018. Follow me on Twitter: @AyresAlyssa. Or like me on Facebook (fb.me/ayresalyssa) or Instagram (instagr.am/ayresalyssa).